Below you will find (in alphabetical order) bios and pictures of some of the bands who have played or will play at our dance! Note: We include information as we receive it from bands. If you are a band who plays in Pittsburgh and would like to have your information on this page, send it to the webmaster to be included! Three seasoned musicians of national reputation and steeped in the folk dance traditions of Appalachia, New England, and the British Isles come together to form the band Goldcrest. Names for a British songbird with close relatives in the Americas, Goldcrest features fiddler Daron Douglas, pianist Dave Wiesler and multi-instrumentalits Paul Oorts in a trio producing contra and English Country music of exceptional quality and unsurpassed variety. Having played together for nearly eight years, Tempest has tours completed or scheduled in the Mid-Atlantic, South Eastern, Allegheny, Hudson Valley, and New England regions, including such notable dances as Glen Echo, Glenside, Old Farmer’s Ball, Raleigh-Durham, Concord Scout House, and so on. 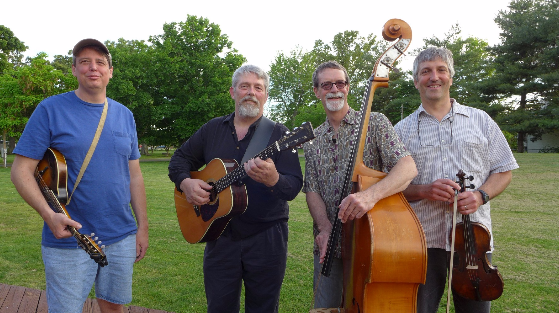 Led by fiddler Tim Ball (Escape, Confluence), guitarist Chuck Abell, and Eastman-graduate drummer Eric Metzgar, the band serves up a fiery brand of contra dance music augmented by strains of jazz, R&B, and World Music. The band has also recently released its first full-length CD, Equilibrium, which has received praise from callers, musicians, and dancers alike, largely due to its diverse array of styles and top-shelf musicianship. Next March, Tempest will be doing a nine-day tour of the East Coast with Bob Isaacs and accompanied by bassist Harry Aceto (Clayfoot Strutters). Other musicians with whom we have toured, or will be touring, including Larry Unger, Lee Blackwell, and Joe DePaulo. Zeke’s Fancy takes traditional dance music from Appalachia and the British Isles, combines it with swing, and creates driving music for contra dance. 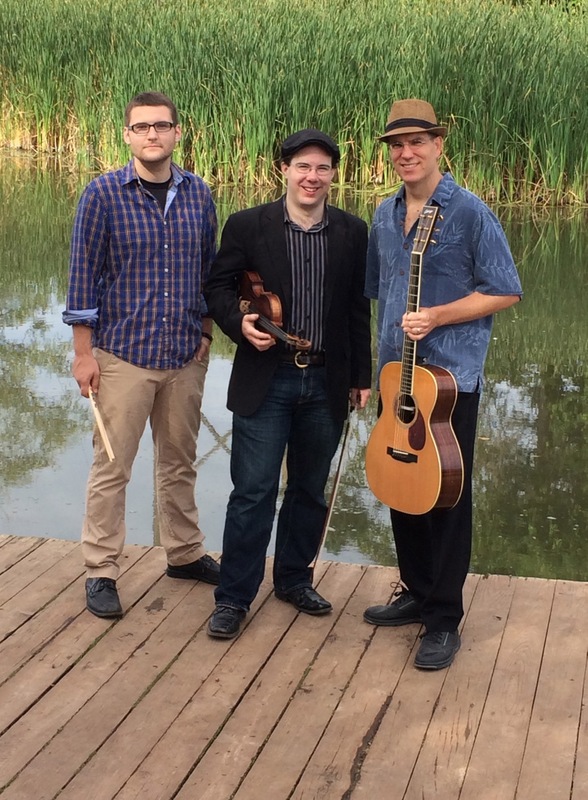 The members of Zeke’s Fancy combine rich musical backgrounds in traditional, bluegrass, classical and jazz. 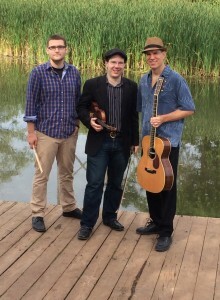 Their unique sound is anchored by Zeke Hutchison – mandolin. Zeke grew up listening to his grandfather’s fiddle then listening and playing with his father and uncles in the Hutchison Brothers band. Mark Barsamian started out playing classical violin and viola, grew interested in Irish music and now has descended into old-time music. Kind of sounds like a backward path, but he brings powerful technique to powerful music. The rhythm section is Dave Borowski, guitar and Nick Weiland, bass. Dave is both a bassist and guitarist with a long musical history from rock to swing to jazz. Nick started out as the drummer in a 60’s garage band and has taken a long musical road to arrive at contra dance. He is also the bassist for the Hotpoint Stringband and brings their rhythm and drive to Zeke’s Fancy. This band knows how to drive a dance!